This Friday folks, Pub Quiz!!! 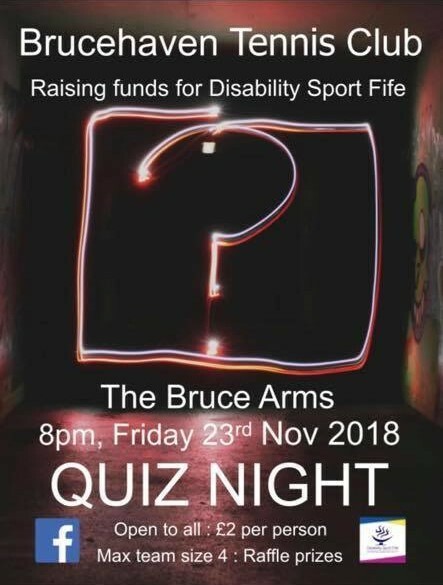 Join us at The Bruce Arms from 8pm for a fundraising event held by Brucehaven Tennis Club. This year, they’ll be raising funds for Disability Sport Fife - what a fantastic cause to support!! There will be a raffle too.